(CBS/AP) What does Jimmy Carter got against guinea worms? A lot. The former U.S. President is appealing to countries and donors to eradicate guinea worm disease from the world once and for all. The U.K. pledged $31 million over four years for the effort, but only if other countries pony up. 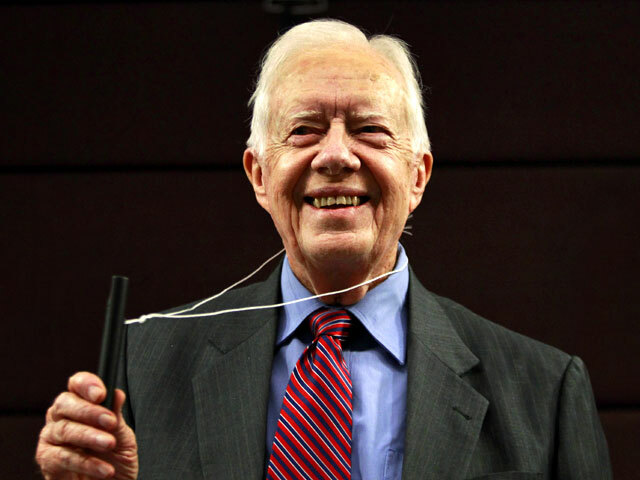 Guinea worm disease "prevents people from escaping poverty," Carter said in a written statement. "I welcome the challenge laid down by the British government. I call on other donors to match their efforts." The disease is endemic in South Sudan, Ethiopia, Mali, and Chad. The Carter Center and partners, including the World Health Organization and the CDC, aim to get rid of guinea worm disease by 2015. The global eradication effort started in 1980, when there were about 3.5 million cases of the disease, every year. Since then, cases have dropped by more than 99 percent - except in those four countries, where there were 1,797 cases last year. Smallpox is the only disease in history to have been eradicated, while another effort to get rid of polio is ongoing, CBS News reported. So what exactly is guinea worm disease? It's a crippling and painful parasitic disease that's spread by drinking water that harbors Guinea worm larvae. Once drunk, larvae penetrates the digestive track and grows over the next 10 to 14 months. After that a painful blister forms on the feet or legs. That's the worm - which by this point can measure two to three feet - trying to burrow its way out. The process can take months, and often leaves the patient bedridden. Removing the parasite usually involves winding the worm around a stick so it doesn't break. Guinea worm disease can't be cured, but Carter and his cohorts want to eliminate the disease by stopping people from drinking dirty water and by preventing infected people from wading into water and spreading the disease. Relief efforts will focus on educating inhabitants of these regions, as well as distributing water filter tubes they can drink water through to prevent ingesting the parasite. The CDC has more on guinea worm disease.